This round shaped bag is a must have for all the trendy bag lovers. 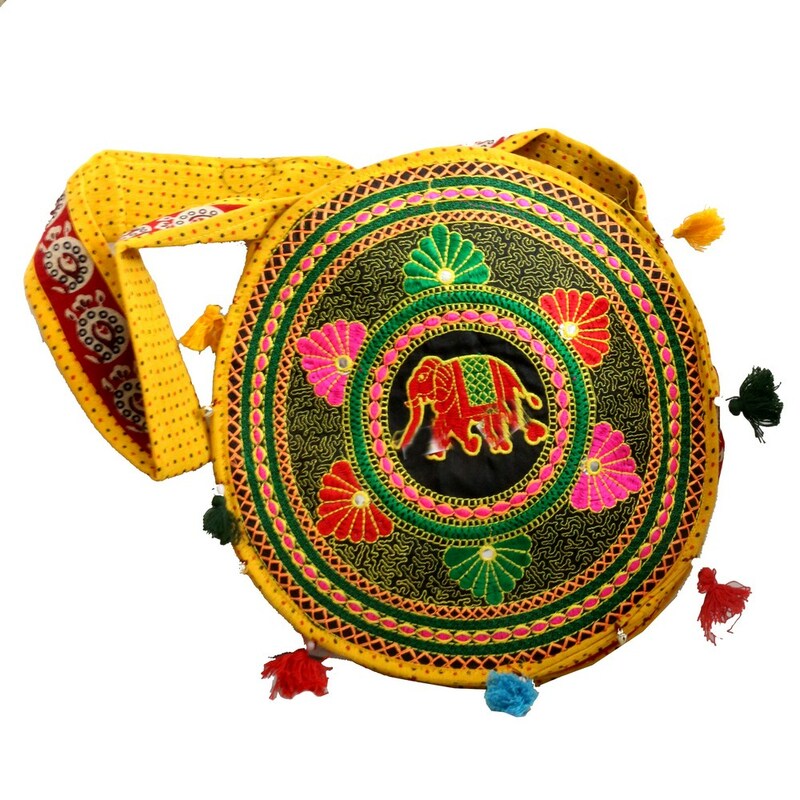 This yellow and unique shaped bag is simple yet brings about Read More..a traditional flavor. The colourful flower designs on the body gives it an elaborate finish. With handcrafted designs all over, the quality of the product gets totally uplifted. Show Less..